As more people in English speaking countries become interested in Buddhism, they demand to know what the Buddha actually taught. The only way to find out is to read the earliest texts in the earliest language, which means learning Pali. When, as a young monk, I learned Pali, I discovered it was not that difficult. Once I could read the Pali texts myself, a whole rich new dimension of teachings opened up for me. It was like I was coming so much closer to the Buddha. Therefore I strongly recommend this book. May it help others understand what the Buddha really taught. 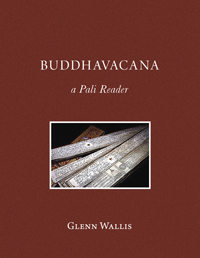 Glenn Wallis has put in a wonderful effort to produce this Pali reader to encourage the study of the language of the most complete early Buddhist canon. I think he has chosen a good selection of discourses (suttas), which conveys important aspects of the Buddha’s teaching from his own words. Certainly, encouraging knowledge of early Buddhist texts and intelligent and critical investigation of them, would be welcomed by the Buddha. Intelligent and critical investigation is definitely encouraged by the Buddha in such texts as the Discourse in Kesamutta (our text number four). The Buddha is quoted as saying: “make a thorough investigation” in Majjhima Nikaya sutta number 56 and the context makes clear the Buddha was referring to his teaching, not just meditative investigation. Space is given to translate each discourse directly after it, then a glossary for that particular discourse. Lastly Glenn Wallis gives his own translation of the discourses at the end of the book. Putting the glossary for each discourse so close to it, is very practical. Buddha Vacana is an excellent workbook for those who wish to deepen their knowledge of Pali canonical literature. 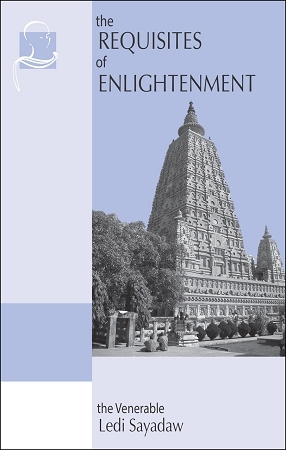 Suttas Glenn Walls has selected for this book from Dighanikaya, Majjhimanikaya, Samyuttanikaya and Anguttaranikaya represent not only the four major Nikayas but also core teaching of the Buddha. Even though there are quite reliable translations of these Suttas, should anybody have any doubt about these translations, she or he can verify the meaning if he or she has a good knowledge of Pali. Careful study of these Suttas, as presented in this book, serves multipurpose— learning Pali, Dhamma and instruction on meditation. For these reasons, without any hesitation, I would highly recommend this book to anybody interested in Pali, Dhamma and meditation. Bhante Henepola Gunaratana, Author of Mindfulness in Plain English, Beyond Mindfulness, Eight Mindful Steps to Happiness, Journey to Mindfulness. Etc.